Knox Patents: Kulaga Law Office, PLLC, provides a broad range of Intellectual Property services, including Patents, Copyrights, Trademarks, and Trade Secrets. Thomas Kulaga, a patent attorney at Knox Patents, has experience working as an engineer and has experience gained by operating his own business. 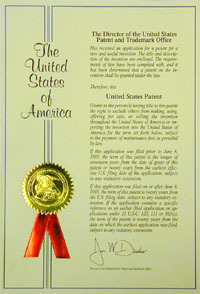 This experience enables Knox Patents to understand the business reasons for obtaining patent, copyright, and trademark protection. See the White Paper prepared by Tom Kulaga identifying factors that should be considered by businesses for protecting their intellectual property.